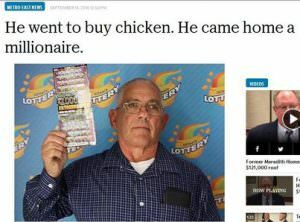 When he scratched off the ticket, he found himself $2 million richer in an instant. He then went home and told his disbelieving family. Emmerich knows what he wants to do with his money – invest the bulk of it, buy and car and a trailer and donate to his church.